Since 2004 he is Member of the European Parliament. Tunne Kelam has been an influential leader in the restoration of independence and in the rebuilding of the democratic institutions of Estonia. A graduate of Tartu University (1959), Kelam worked as an archivist and also became a popular lecturer and political commentator. From 1965 till 1975 he was an editor of the Estonian Encyclopaedia. At the beginning of the seventies, Kelam joined the underground pro-independence movement and was responsible for many of the public appeals and declarations drawing attention to the illegal occupation of Estonia by the Soviet Union. He was the author of a joint appeal to the United Nations from two democratic Estonian political groups asking for assistance to remove Soviet occupation troops and to organise free democratic elections. The publication of this appeal in the West in 1974 was followed by a wave of persecutions of human rights activists in Estonia. Kelam was intensively questioned by the KGB and ultimately fired from the Estonian Encyclopaedia. Blacklisted from public activities, he worked as a night watchman on a poultry farm for the next ten years while continuing to organise groups of intellectuals opposed to Soviet rule and to inform the democratic world about human rights violations in occupied Estonia. Re-emerging into public activity in 1987, Kelam clearly voiced the goals of Estonians who aspired to free their country peacefully as well as to undo the mental and political heritage of the Soviet system by opening Estonia fully to interchange with the West. In August 1988, Kelam was a founding member of the Estonian National Independence Party (ENIP) -- the first non-Communist political party on the territory of the then Soviet Union. ENIP’s bold goal was to restore full independence as well as to re-establish the rule of law. He chaired the party from 1993-1995. In November 1989, Kelam was elected Chairman of the National Citizens' Committee, the grassroots movement that registered Estonian citizens based upon the legal continuity of the citizenship of the Republic of Estonia. The nearly 900,000 individuals who reclaimed their Estonian citizenship by registering with the National Citizens' Committee caused a genuine political and psychological breakthrough in favor of independence. This was a courageous political act as thousands of Soviet troops still controlled the country at that time. On February 24, 1990, the Estonian citizens elected 499 delegates to the Congress of Estonia. Kelam was chosen Chairman of the Congress, a post to which he was re-elected. The Congress of Estonia served as a unique non-Soviet representative body during the transition period and presented a democratic alternative to the Soviet institutions established as a result of the occupation. In August 1991, during the coup attempt in Moscow, Kelam was instrumental in achieving a national understanding between the Estonian Supreme Soviet and the Congress of Estonia. As a result, it was decided to re-establish a democratic state based on legal continuity instead of merely proclaiming the independence of Soviet Estonia. Kelam also served in the Estonian Constitutional Assembly that was elected jointly by the Supreme Soviet and the Congress of Estonia in September 1991 to draft the democratic parliamentary system. As a result of the free elections in September 1992, he was elected to the first post-Soviet democratic parliament, the Riigikogu and was advanced to the post of first Vice-President of the Riigikogu by the centre-right coalition government led by Mart Laar. Kelam has been re-elected to that post every year except 1995. Since 1997 he serves also as the Chairman of the parliament’s European Affairs Committee and co-chairman of the Joint Parliamentary Committee of the European Parliament and the Riigikogu. As president of the Estonian National Group of Inter-Parliamentary Union and head of the Estonian delegation to the Council of Europe, he contributed significantly to Estonia's becoming a full member of the Council of Europe in May 1993. In 1994-95 he was one of the Vice-Presidents of the Parliamentary Assembly of the Council of Europe. From 1996 to 2000, Kelam was the Council of Europe’s rapporteur on Ukraine. As Chairman of Estonian National Independence Party, Kelam was a strong advocate for the unification of the conservative and Christian-Democratic forces in Estonia. In December 1995, he presided with the leader of Pro Patria, Mart Laar, over the merging of the two parties into Pro Patria Union (PPU). Since 1997 Kelam has been the Vice-chairman of the party and represents PPU in the activities of the European Democrat Union. Kelam, who speaks fluent English and several other languages, was born in 1936. 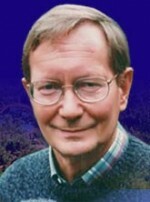 His mother, Marje Sink, and his late brother, Kuldar Sink, were both noted composers. His father, the Reverend Peeter Sink, was also a painter and poet. He is married to Mari-Ann Kelam, MP. Tunne Kelam is a well-known amateur photographer who has held exhibitions throughout Estonia as well as in Berlin and Vienna. Since first receiving permission to travel abroad from Soviet-occupied Estonia in the fall of 1989, Kelam has carried the Estonian message to Europe, Australia, and North America. His articles and interviews have appeared in the New York Times, Washington Post, Christian Science Monitor, Die Welt, Handelsblatt, and other publications. He has contributed to a number of books; his autobiography appeared in 1999. In the course of his work, Kelam has translated from Finnish, Russian, German, French, Polish and Italian. In the Riigikogu Kelam has headed the Estonian-Israeli Friendship Group. He serves on the Board of Directors of the Estonian Human Rights Institute and the Advisory Council of the Tallinn Pedagogical University. He has been the patron of the Estonian Boy Scouts since 1996. Kelam is the recipient of numerous awards, including Rotary International's Paul Harris Award, the Estonian Newspaper Association's "Most Press Friendly Public Figure" award as well as the Baltic Assembly Diploma and the Sash of Honour for the outstanding contribution to the restoration of the Republic of Estonia. Kelam was a candidate for President in 1996 and in 2001. Tunne Kelam is one of the representatives of the Riigikogu in the Convention on the Future of Europe. December 7, 2002 Kelam was elected Chairman of Pro Patria Union (Isamaaliit). Iran's New president - a Chance for a Change?